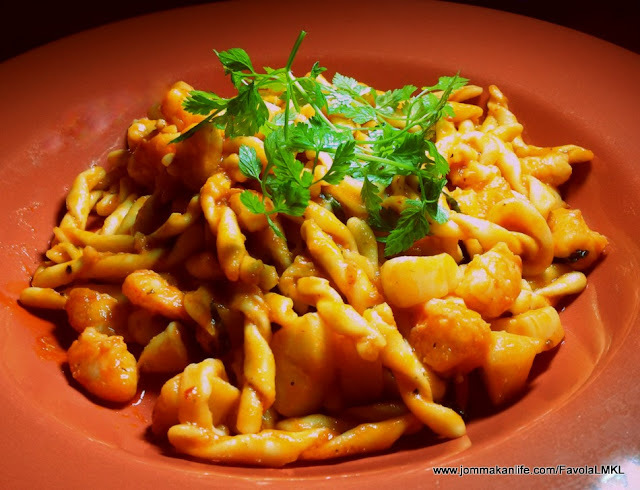 Pasta is integral part of Italian cuisine and one can never be sure exactly how types of pasta there are as there's such a wide range. 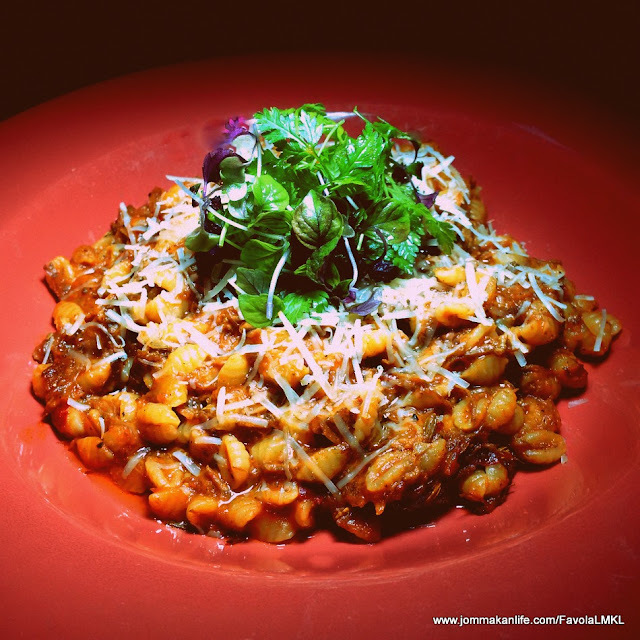 My current fave is Trofie (RM58), toothsome spiral twisted pasta from the north-western coast of Liguria. Traditionally, trofie is tossed in pesto but Favola's new Chef de Cuisine Domenico Piras has the twisty noodles coated in lush, chunky tomato sauce accompanied by scrumptious prawns, scallops and squid. 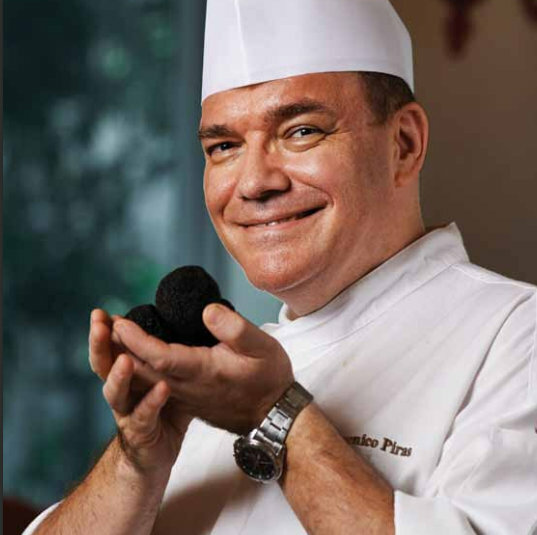 Born in Milan, Chef Piras called Sardinia home many years before he forayed to Asia. The chef has a memory like an elephant too as he instantly recognised my other half upon introduction. After a brief chat, we realised we had met him years ago at the Sutera Harbour Resort in Kota Kinabalu, Sabah. The Italian in him came to the fore as he unleashed his signature repertoire on us. 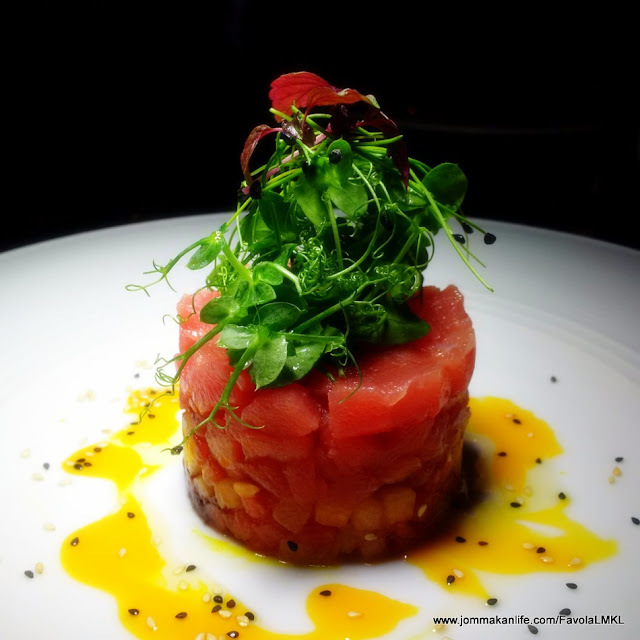 One of the headliners to score with us was Tuna Tartare (RM52). Starring luscious dices of first grade maguro stacked atop diced cantaloupe and watermelon, sweet and mild Italian taggiasca olives, this droolworthy masterpiece came with mint salad and a scattering of black and white sesame seeds. 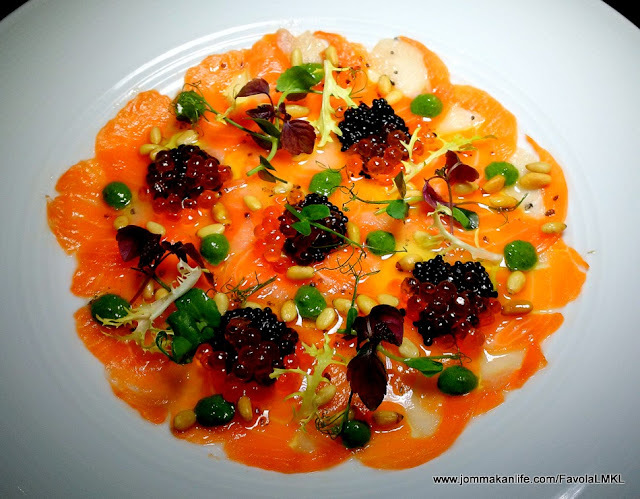 Sharing in the spotlight was Salmon & Seabass Carpaccio (RM56) - a delicate composition of sliced raw salmon and seabass decorated with micro cress salad, dollops of lumpfish and salmon roe, Hawaiian salt, toasted pine nuts, parsley sauce and extra virgin olive oil. Ethereally light with riffs of the sea, we were drawn to the dish's deluge of rich, sunshiny flavours and velvety textures. 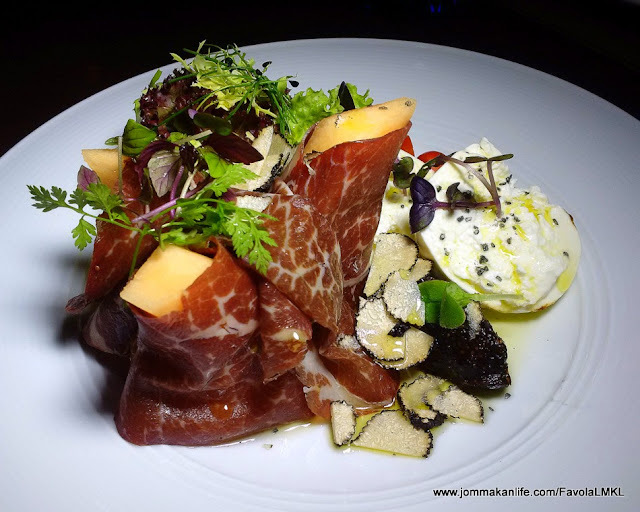 Burrata, shaved black truffle and fig paste formed a tempting partnership with Air-Dried Beef Bresaola (RM68), wrapped around chunks of sweet cantaloupe. Such a wickedly simple ensemble is guaranteed to make you go weak in the knees and beg for more. For an apt throwback to his beloved Sardinia, Chef Piras plied us with a hearty serving of Sardinian Malloreddus (RM47). These dainty handmade shell pasta enrobed in rich, meaty sauce of slow-cooked lamb shoulder evoked the true essence of Italian cooking; bursting with deep-seated rustic accents of evergreen comfort food. 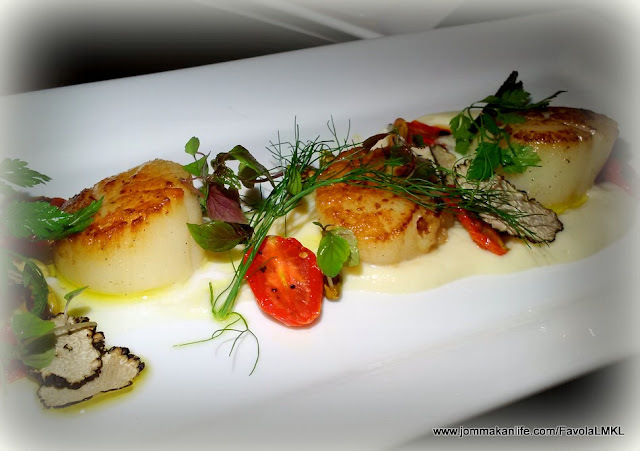 The sterling showcase was augmented by plump, tender Seared Scallops (RM79) enlivened with cauliflower and potato cream, tomato confit, shaved black truffle and roasted pistachios. Such a cohesive combination of sensuous textures and well-balanced flavours left no room for complaint. 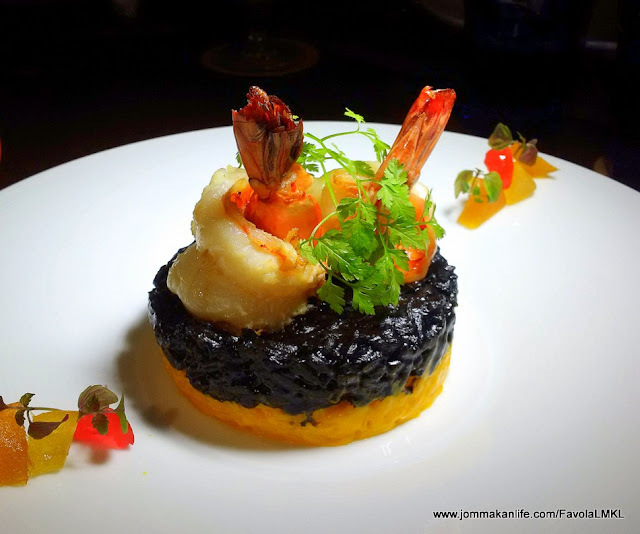 Granted, the chef is justifiably proud of his Risotto in Pumpkin Cream & Squid Ink with Premium Tiger Prawns (RM80) too. Creamy with just that barest hint of nuttiness, the mound of dual hued short grain rice was a sight to behold and a pleasure to savour. 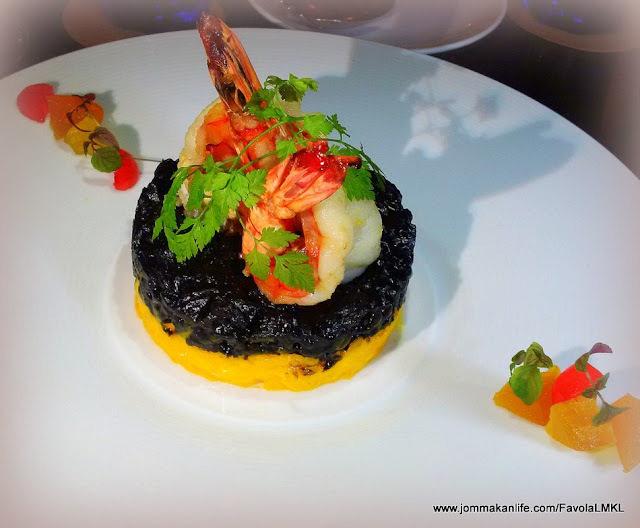 A pair of artfully positioned tiger prawns served as the crowning glory and to imbue subtle sea-sweetness to the creation. 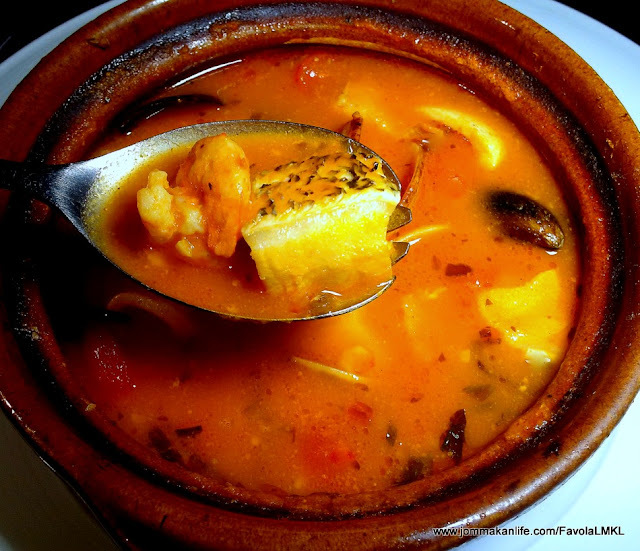 Sardinian Mixed Seafood (RM148, suitable for two diners) underscored the island's famed seafood bounty. Prepared with baby tomatoes and prime herb sauce, the 'Pingiadedda' & Fregula seafood stew introduced us to fregula - the Sardinian pasta made from semolina mixed with water. Hand-rubbed to form coarse pellets similar to lighter and finer couscous, the pasta is then dried and toasted to give it a wheaty-nutty nuance. According to the chef, fregula cooks quickly and easily; imparting the stew with a distinct chewy texture amidst the coterie of seafood. 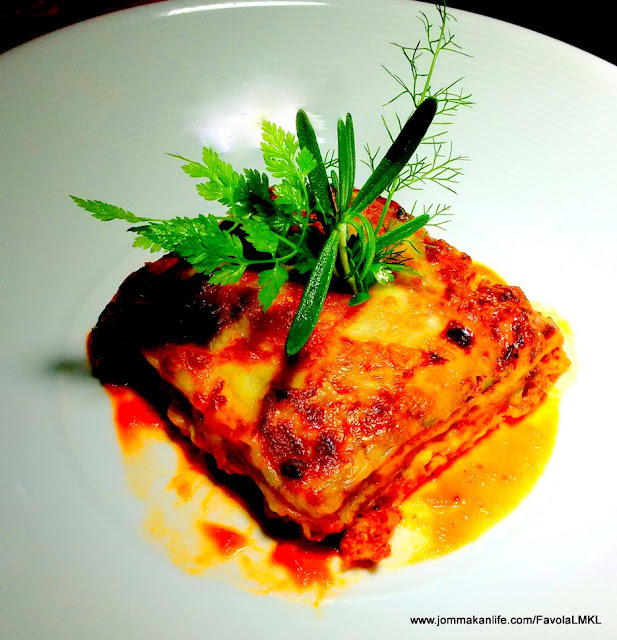 Of course, if you rather stick with the tried and tested, we can vouch for the fabled Housemade Beef Lasagna (RM68). The generous slab of pasta, layered with savoury tomato and mince beef sauce, and finished with oozy melted cheese would please hearty eaters who seek familiar, comforting fare. 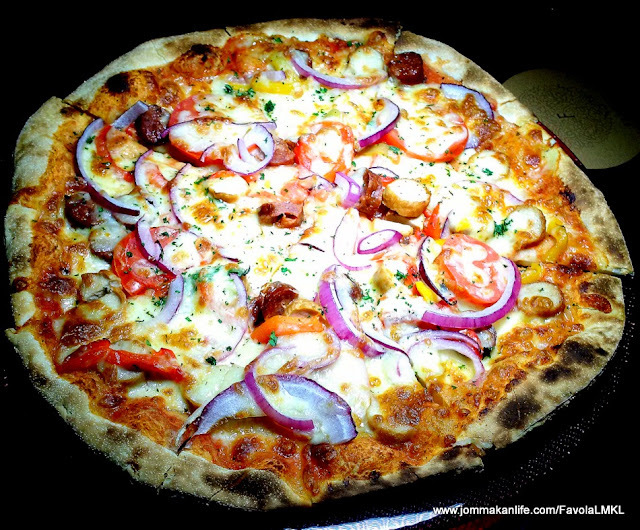 There's also winsome Pizza Rustica (RM47) which consisted of a thin, crunchy crust amply smothered with top-notch goodies: spiced lamb & chicken sausage, sliced onion, tomato and capsicum, cheese and chopped thyme. 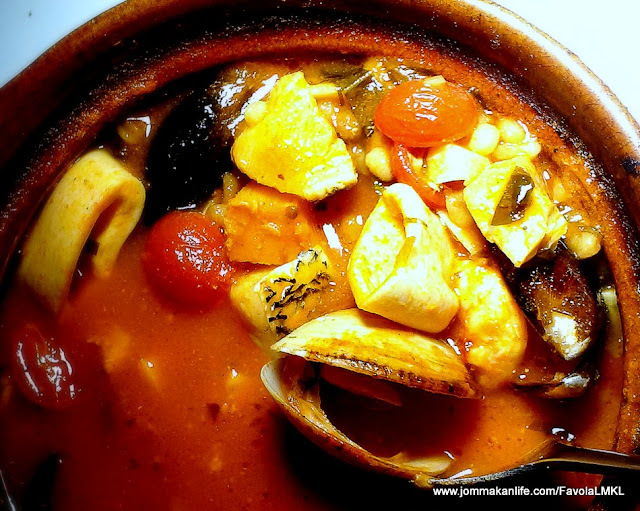 Robustly flavoured, it proved soul-satisfying. 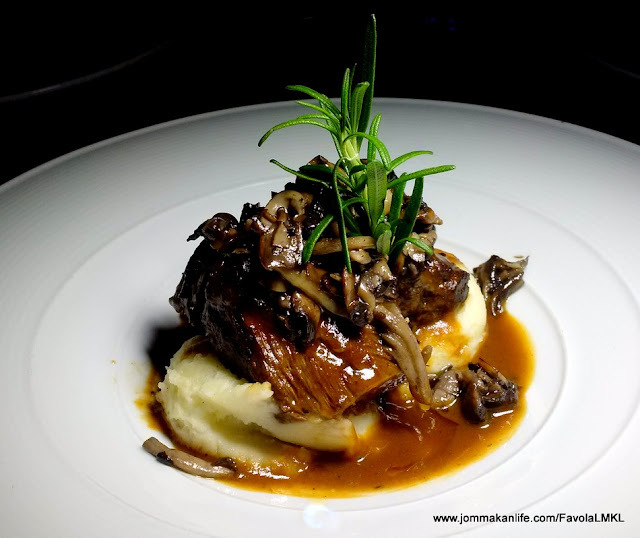 Frankly speaking, I'm not big on Braised Beef Cheek (RM98) but this new menu entry, served with a choice of mashed potato or risotto, banished my trepidation. Its full-blown lushness, the attendant mushroom's woody scent and the heady umami sauce beguiled us into making short work of the dish. Now, lest you think the Tiramisu (RM48) is ho-hum, this particular dessert was culled from Chef Piras' inherited 1956 recipe. Despite the absence of Marsala (Italian fortified wine), the sweet treat was delightfully light with a heavier than usual coffee profile. 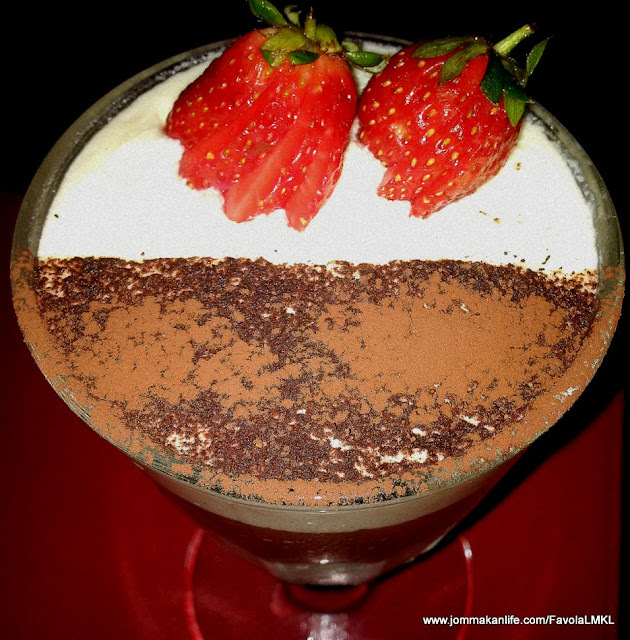 For those who want it all, go with the Three Italian Delights (RM44) featuring triple layers of decadence comprising panna cotta, chocolate mousse and tiramisu. Sounds sinful but thankfully, the serving is mercifully manageable so the guilt factor is lessened. 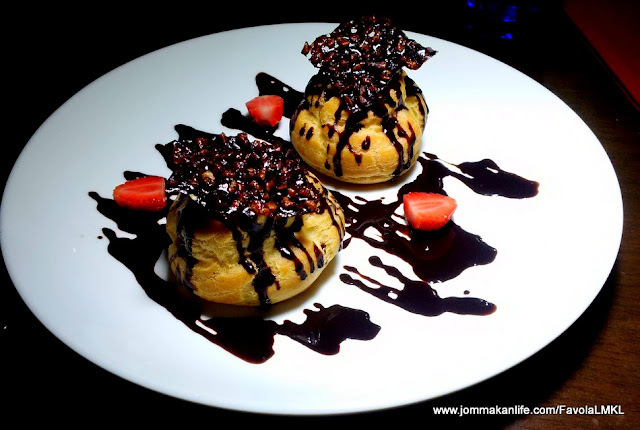 Personally, I'd recommend Profiteroles (RM37), choux buns filled with sublime vanilla cream, chocolate sauce and cocoa tuile. 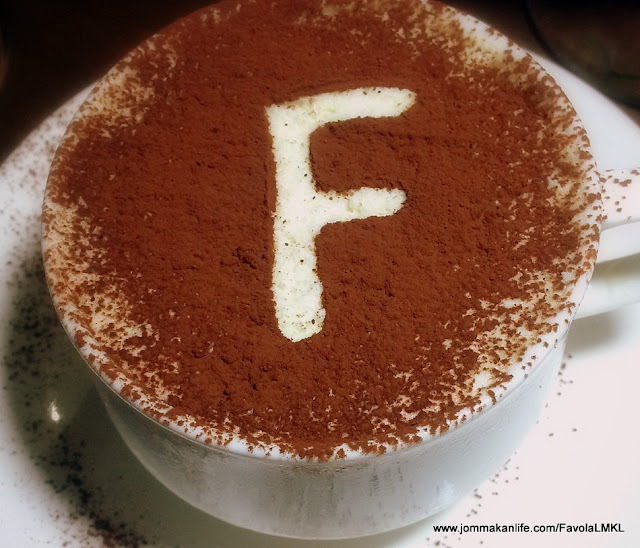 Share these to halve the calories and go home happy like the cat that got the cream. For reservation, call FAVOLA - tel: 03-2263 7434. Address: Le Meridien KL, Jalan Stesen Sentral, KL Sentral.